When buying a wheelchair for steps you need to measure the going of each step as well as the height. The reason being is that if the going is too long a wheelchair ramp that may be suitable on smaller going steps can catch on the nosing of the lower step (as demonstrated in the picture below. 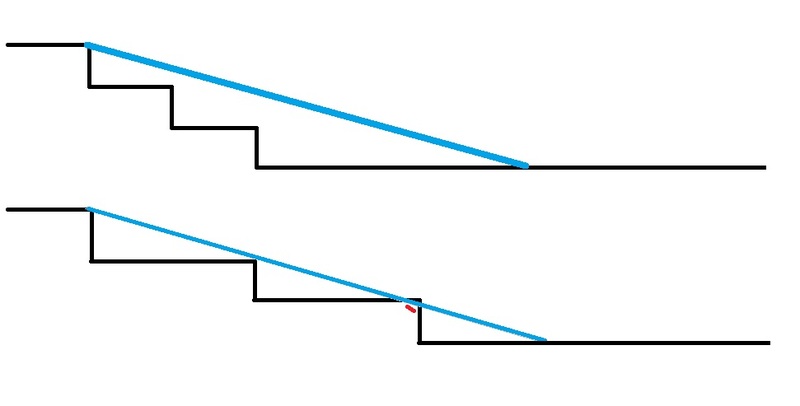 The height is the same and the length of ramp is the same, but as you can see in the 2nd diagram, a longer ramp would be required due to the going of the steps.